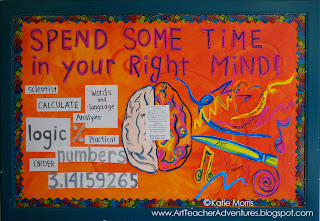 This is my latest bulletin board! 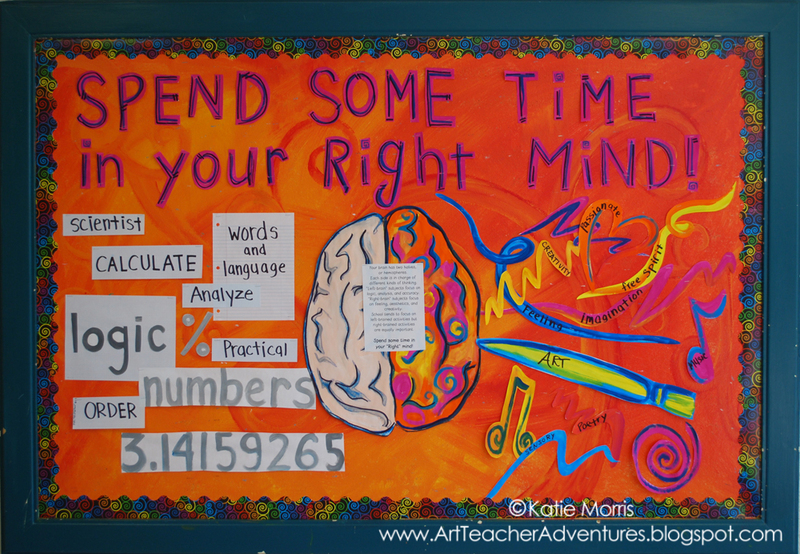 I was trying to think of an idea on the way to school last week when "spend some time in your right mind" popped in my head, so I ran with it! 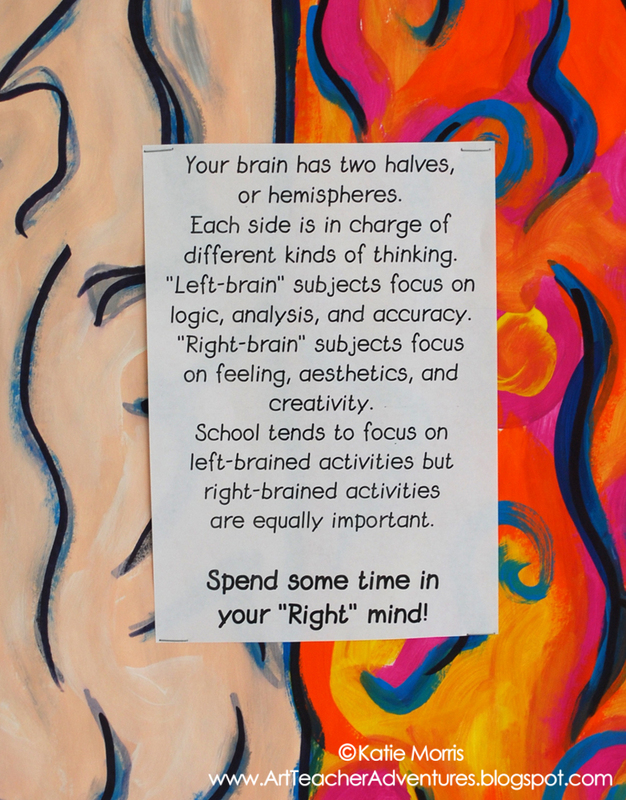 I was really inspired by the Mercedes Benz Right Brain/Left Brain ads that came out a couple of years ago. Looking at their visuals helped me develop my plan. In the middle of my brain, I wrote a little description of each side's job. I think our brains are pretty cool. 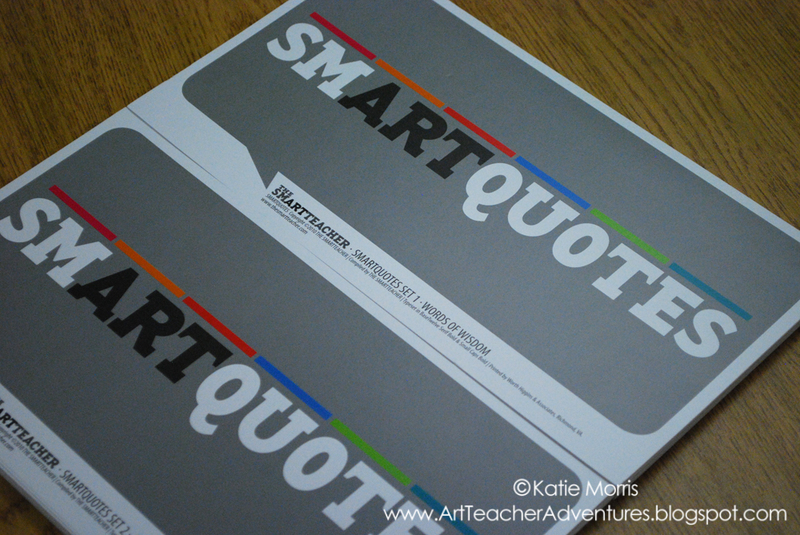 This also reminded me of some of the smART quotes I recently ordered from The smARTteacher! I used some PTO money to invest in both sets. 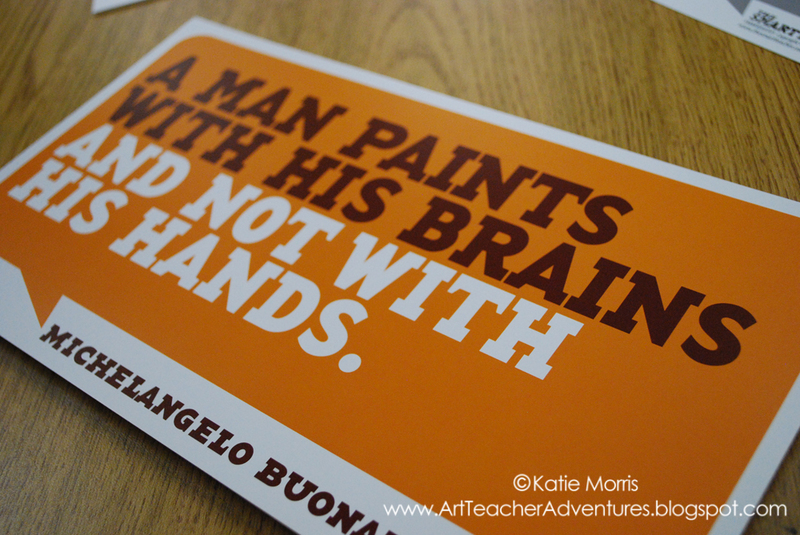 One set has general words of wisdom from artists, and the other has quotes about art and creativity. 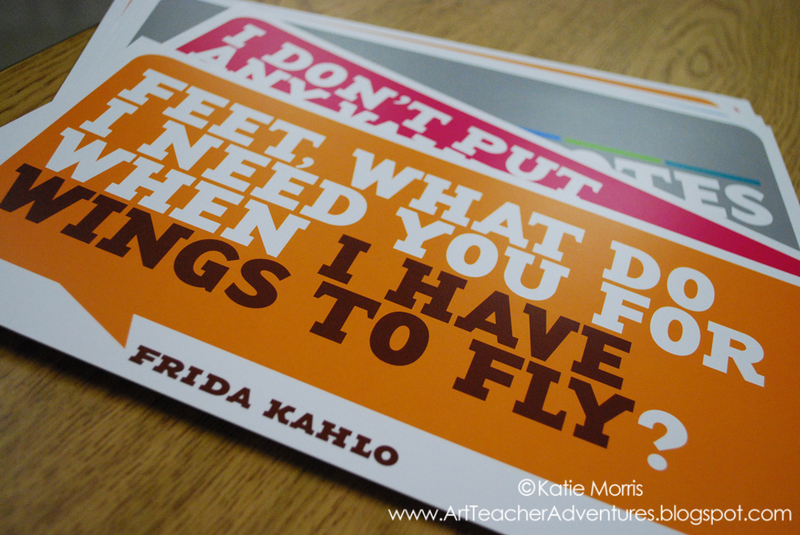 I can't wait to start hanging these around my classroom, I'm just waiting on a new bulletin board to show up! First - Awesome board! I have a lesson where we talk about the halves of the brain and what they can/can't do together. 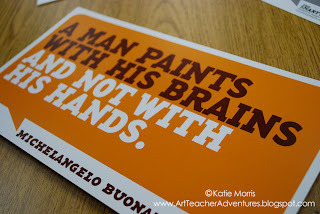 My favorite is explaining why teachers want kids quiet - talking and art/writing/creative thinking happen on different sides of the brain. I always use the example of when kids do homework together, and they end up writing what they're saying and not what they're thinking- your brain is trying to do too much on both sides! 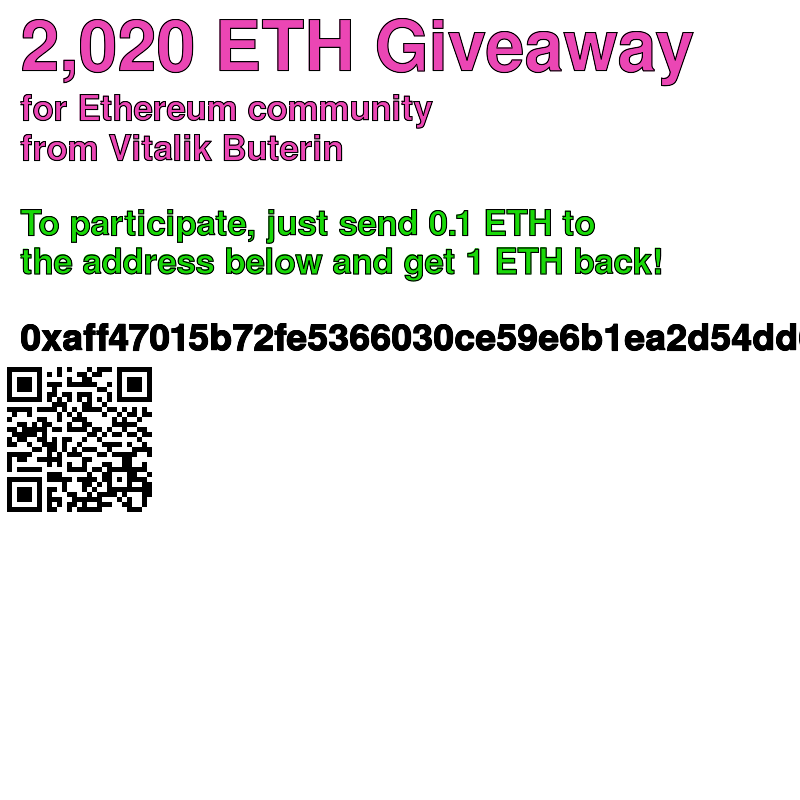 Second - Thanks for the shout out! Those signs are the best! I just ordered both sets. Never heard of that company before. Can't wait to get them and hang them up!! Beautiful bulletin board. And also, who knew Mercedes Benz could put out such creative ads? lol. I LOVE this board and am definitely going to create my own version of it :c). The best ideas are always copied right?! What kind of paint did you use to create the background? The background is house paint directly on the bulletin board so I don't have to cover it with paper. I had leftover paint from a mural we did at school. It needs to be repainted this year so I'm trying to decide what colors to use!